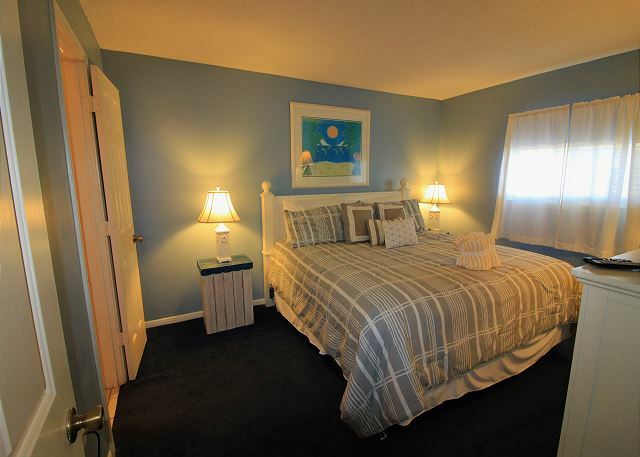 Located in the Heart of Crystal Beach, this beachfront condo is sure to please!!! Crystal Sands is a low rise condo with a seasonally heated pool Many shopping/dining choices just blocks away! Saturday to Saturday rental during the peak season! This place is wonderful. It was clean, well stocked kitchen, awesome ybalcony. Thank you for sharing your review for Crystal Sands #205A. We are delighted to know that you all so enjoyed this beautiful beach front condo and the large private balcony overlooking the Gulf of Mexico! We hope to welcome you all back again soon for another wonderful stay with us here at the beach in beautiful Destin, FL! This was a wonderful rental for our vacation. The view from the balcony was unbelievable. The stove only had 2 burners you could use and the one skillet was almost unusable it was so old. Other than that it was great! Would for sure go back again. Thank you for sharing your review for Crystal Sands #205A. We are so pleased to hear that you all had a great vacation stay at the Beach in this beautiful home and that you so appreciated the gorgeous Gulf View! We hope that you gave our office located next door the opportunity to assist you with the stove, as well as bringing you by a new skillet. We are always available to assist our guests in every possible way because we want our guests to have a completely worry free vacation. We hope to welcome you all back again soon for another beach vacation stay with us here in beautiful Destin, FL! Everything was great with this condo. The only thing I would suggest would be get some better pots and pans to cook with. They were not good and hard to clean after we used them. Thank you for sharing your review for Crystal Sands 205A. We are delighted to know that you had a great stay in this beautiful beach front home! We apologize that the cookware was any issue. We would have been happy to drop you by some new items for your stay. We are always available and happy to assist our guests in every possible way because it is our goal to give you the best vacation ever! We hope to have you all back again soon as our guests here at the beach in beautiful Destin, FL! Thank you for sharing your review for Crystal Sands #205A in Destin. We are so pleased to hear that you enjoyed your stay in this beautiful home and we hope to welcome you back soon for another wonderful beach vacation stay with us here in Destin, FL! We had a good experience booking the property and really liked the app that gave you information regarding the processes and property. Thank you for sharing your review for Crystal Sands #205A in Destin, FL. We are so pleased to know that you all had a good stay with us at this beautiful beach condo! We hope to welcome you all back again soon for another wonderful beach vacation stay with us here on the Emerald Coast! The Management company promptly attended to any questions and concerns that we had. The unit was well appointed and the view was spectacular. We always choose one of the Harmony Beach Vacation properties. Thank you for your review for Crystal Sands #205A. We so appreciate having you all as our return guests over the years and we have enjoyed your company! We're glad to know that you all enjoyed this beautiful home, and that you appreciated the Gulf View! We hope to be welcoming you all back again very soon as our guests here in beautiful Destin, FL! Condo was great. Only complaint there was no deadbolt on the door. Thank you for sharing your review for Crystal Sands #205A. We are so pleased to know that you had a great stay with us in this beach front condo! 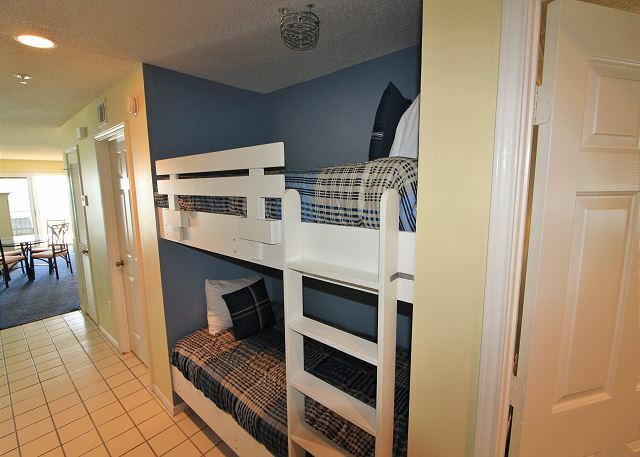 We hope to welcome you back soon as our guest for another stay here in Destin! We loved this place!!! We can't wait to go back!!! Thank you for sharing your review for Crystal Sands #205A. We are thrilled to hear that you had such a wonderful beach vacation stay with us at this beach front location! We hope to welcome you all back soon for another excellent beach vacation stay here in beautiful Destin, FL! I had a wonderful time. A snowbirds dream. Can't wait for next year. Thank you for sharing your review for Crystal Sands #205A. We are so happy to know that you so enjoyed your Dream Trip here in Destin, FL! We look forward to having you right back here next year for another Snowbird's Dream! Thank you for sharing your review for Crystal Sands #205A. We are delighted to know that you had a wonderful stay with us in this beautiful beach front condo! We would love to welcome you back soon for another Beach Vacation in Destin, FL! We really enjoyed our vacation. Great location. Everyone very nice and helpful. Thank you for sharing your kind review. We are delighted to hear that you all had a great vacation and we would be delighted to have you back soon as our guests at Crystal Sands #205A! VERY PLEASANT STAY. WILL DEFINITELY GO BACK. Thank you for sharing your review. We are happy to hear that you had a pleasant stay with us at Crystal Sands 205A and we would be delighted to have you back soon as our guest in Destin, FL! The condo was nice and clean. We rent from Harmony Beach every year and they are always very accommodating and they go out of their way to make your vacation great. Just steps from the pool and beach with a private beach access and beach service is included. Very nice and beautiful! We can't wait to go back next year! Thank you for sharing that kind review. We appreciate having you all as our guests and we are simply delighted to know that you all had a pleasant stay with us at Crystal Sands 205A! We look forward to seeing you all again soon here at the Beach in Destin, FL! This rental was a very wonderful place to stay. Very clean and right on the beach. The price was very reasonable and made our vacation very affordable. Thank you for sharing your review for Crystal Sands 205A. We are so pleased to hear that you all had a wonderful stay with us and that you enjoyed the beach, the home itself and the mid August rates! We would be delighted to have you all back soon as our guests at the Beach! Pictures and description were accurate. Great experience. The beach was steps away and not overcrowded. We appreciated the beach service -- umbrella and two chairs -- since we traveled by plane and couldn't haul a bunch of stuff. Thank you for sharing your review for Crystal Sands 205A. We are delighted to hear that you all enjoyed your stay in this beautiful beach front condo and that you enjoyed the complimentary beach service and the location of the home. We would be happy to welcome you all back soon as our guests in Destin, FL! Destin is beautiful!! Water is amazing and the beach is clean. I had the most relaxing and fun time. The place I stayed was the perfect location. It was on the water and walking distance to shops and restaurants!! Thank you for your review. We are delighted to hear that you all had a wonderful stay with us at Crystal Sands #205A and that you enjoyed the beach and the nearby area attractions. We would be happy to welcome you all back soon as our guests in Destin, FL! Love this location I can't wait to go back!!! Thank you for sharing your review. We are so pleased to hear that you enjoyed your stay with us at Crystal Sands #205A so much and we hope to have you back real soon as our guest at the Beach! Nice condo on the beach with great sunsets. The condo was nice and clean. The management was very nice and helpful. We enjoyed our stay and would stay there again. There were a few little details that could be fixed but overall it's a nice place to stay. Thank you for your kind review. We appreciate you staying with Harmony Beach Vacations and we are so pleased to hear that you all had a wonderful vacation! We welcome you back as our guests on the Emerald Coast anytime! Amazing, Harmony is the only company I will from now on go through when booking! Place was great! Everything described was perfect and true! Hoping to get away once more and Harmony is the first I call! I was really impressed with the service from Harmony Beach vacations. They even called us while we were on the road, just to check to see if everything was on schedule. The condo was spotless, and this is a great location, right on the beach, and the view is terrific. There was even a bottle of wine, and two glasses on the table to welcome us.The only concern was, Why are the towels like sandpaper? 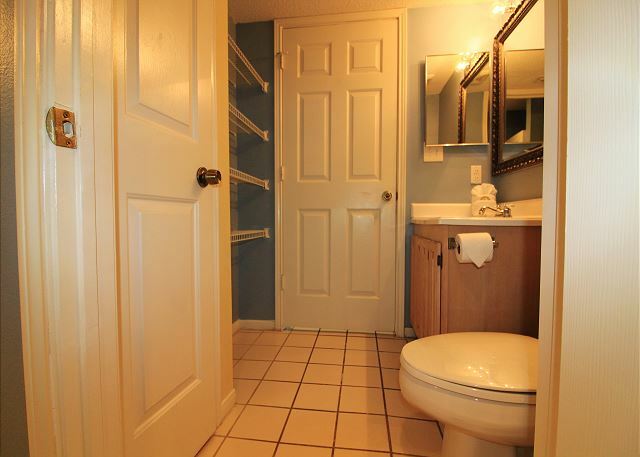 I would certainly recommend this property to a friend or relative. We even had great weather, not one raindrop, the whole week. Thank you for sharing your kind review. We appreciate having you stay with us and we're so glad you all had a wonderful stay! Thank you for your feedback. We appreciate our guests suggestions. We hope to have you back soon as our guests in Destin! Thank you for sharing your review. We're so glad you all enjoyed your stay with us and we look forward to having you stay with us again soon! The pictures of the property don't do it justice! The livingroom furniture is a little worn but it was so comfortable! The view was amazing! The only issue we had was that we were given the wrong beach access code. Once we got that straightened out the vacation went on smoothly! I would definitely recommend this property to a friend! I am very much looking forward to our next vacation! We had a great two months staying at Crystal Sands, 205A, The unit is well equipped; the king bed is very comfortable; the wide balcony overlooking the fabulous beach just makes the accommodation top notch. The final flourish to this is the staff who cannot do enough for you to make your vacation the best. We were recommended by friends, and we pass our recommendation on to anyone. Thanks Harmony Beach. This is our second time staying with Harmony Beach Vacations. We would recommend them as the most caring, attentive vacation company we have experienced. All the staff are cheerful. We are very grateful that beach chairs/umbrellas are included in the cost.. We highly recoomend them. it was awesome and we will be coming back next year. Thank you for sharing your review! We look forward to having you back as our guests next year! Thank you for taking the time to share your review. We're delighted that you enjoyed your stay and we hope to have you back as our guests soon! Enjoyed a very relaxing time with family on the beach, condo is very nice, but the soft bed needs to be replaced very uncomfortable but other than that everything was great and we will stay again! Thank you for sharing your feedback. We'll share your suggestion with the condo owner, our home owners appreciate guests' feedback too. We are glad you all had a great time at Crystal Sands 205A and we look forward to having you back soon! Could not have asked for a nicer place on the beach for the price and view. This is my 4th year in a row in Destin prior to Labor Day weekend. If I ever get the opportunity I will try to stay here again. the place was clean comfortable and very relaxing .I would also recommend boogie watersports if you would like a real nice ride on a water jet one hour for at most reasonable price in Destin, $80 for an hour and you can actually go into the gulf. Thank you for your review. We are so delighted that you all enjoyed your stay and we hope to have you back soon! Richard C from The Colony, Tx does not recommend this vacation rental. Have stayed at Crystal Sands for the past 15 years. This unit furniture and furnishings are old, broken down and needs to be replaced. The old TV on the bedroom wall is a hazard when you enter the room. Crystal Sands is situated in a great location, clean exterior property and nice pool. Would recommend Crystal sands to a friend but not this unit. Thank you for sharing your vacation experience. 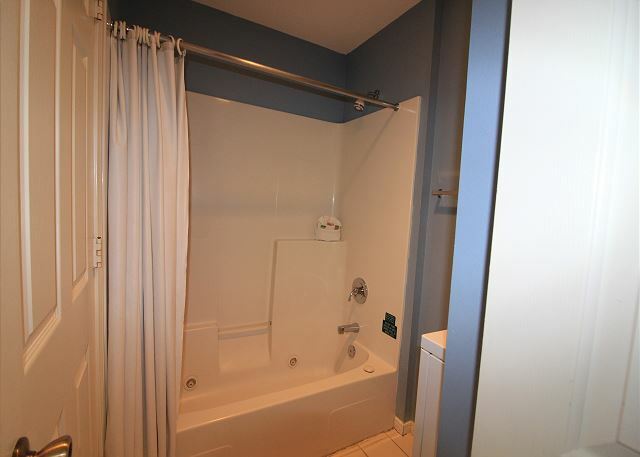 We appreciate your feedback and we will share your suggestions with the condo owner. We have several vacation homes in this same area and we hope to have you back as our guests in Destin again! Robert M from Frisco, TX does not recommend this vacation rental. We have stayed at the Crystal Sands before and loved it. The unit we stayed in was a little dated. The mattress for the pull-out sofa was absolutely horrible. It was like sleeping on the frame of the sofa only. Other than that, everything else was great. Right on the beach, quiet, nice pool, clean rooms, restroom downstairs for coming off beach was very clean. Enjoyed our stay very much. Tremendous stay. Will stay again.